Education for children aged between 6 and 14 has finally become a fundamental right with the notification of the Right of Children to Free and Compulsory Education Act on 1st April. While the notification is an important milestone, the government acknowledged that the real challenge lay in the effective implementation of the Act. In his short address, Mr Singh referred to the need for all stakeholders to work together to realise the Right to Education (RTE), describing it as a “common national endeavour”. What would reassure members of the civil society and mandarins in Shastri Bhavan is the Prime Minister’s public commitment that “financial constraints do not hamper the implementation of the Right to Education Act”. The requirement of large funds and inadequate provisioning have been major reasons for the delay in the notification. The requirement of large funds and inadequate provisioning have been major reasons for the delays in the notification. And while the notification does mark a historic moment, the real challenge has just begun. A fact duly recognised by minister for human resource development Kapil Sibal. Referring to the work that lies ahead, Mr Sibal said: “The biggest challenge lies in provisioning for teachers, defining neighbourhood schools, helping less privileged private schools, many of them unrecognised, to improve their infrastructure and quality of education.” Acknowledging the challenge, Mr Sibal said “none of it is going to be easy”. An important component of this reform would concern teachers. “It’s not just about hiring 12 lakh more teachers, how are you going to get teachers to go and teach in these government schools, particularly in North India, West Bengal and Orissa, where they are not functioning. The right is not just about a physical space called school, but the learning experience,” she said. The government is alive to the huge task that lies ahead. Already Mr Sibal has written to chief ministers asking them to adopt/adapt the model rules for implementation. He has also suggested that states undertake school and social mapping exercises to determine where new schools would need to be set up. Besides this, efforts have to be made to facilitate the enrolment of out-of-school children in age-appropriate classes, and provide the requisite training for proper integration. On the issue of teachers, the minister has requested that “economy orders in the state against filling teacher vacancies” be lifted, so that posts can be filled expeditiously. The other teacher-related issue is to ensure that all untrained teachers acquire the requisite qualifications. With education becoming an entitlement, efforts will have to be made to ensure that those on the margins are able to seek redressal. To this end, Mr Sibal has asked states to constitute the State Commission of Protection of Child Rights, as this is the body that will be charged with the monitoring of child rights under the Act. While these are the initial steps, the government will need to ensure that allocations are made. The Thirteenth Finance Commission has provided for Rs 25,000 crore to the states over five years for the implementation of RTE. This over and above allocations for centrally-sponsored schemes like Sarva Shiksha Abhiyan, Mid-Day Meal, teacher education. For the current year, the central allocation is to the tune of Rs 15,000 crore, and the centre will bear 55% of the burden. The ministry is keen that the Centre’s burden is increased to 65% to ensure that states do not fall behind on implementation due to fund crunch. It has been a long and arduous journey for this fundamental right. Despite the unanimous support for the move, the enabling RTE legislation hasn’t had an easy passage. Work on RTE was started by the NDA government soon after Parliament passed the constitutional amendment in December 2002. The first delay came when the NDA was voted out of power in May 2004. Work on the RTE was then taken up by the Kapil Sibal committee of the Central Advisory Board of Education (CABE). The Sibal draft slated the financial implications, estimated by the then National Institute of Education Planning and Administration, at a minimum of Rs 3,21,196 crore to a maximum Rs 4,36,458.5 crore over six years. This is where the proposed legislation ran into trouble. The question of funding was to hold up the bill for the next four-and-a-half years. The ministry of human resource development then worked to bring down the financial implication of the bill. Finally, whittling it down to Rs 171,000 crore. Long after Columbus discovered the New World and Spain’s rise as a global empire, there’s a new conquest underway. Playing host to three of the world’s top-ranked business schools, the country has now laid its claim to the world of management education. The four main reasons for this are its economy, language, internationality and rankings. Before the financial crisis, Spain was one of Europe’s leading economies. Even now, its companies are some of the strongest firms at an international level. Banks like Banco Santander and BBVA are seen as the largest in Europe while companies like Inditex, which owns brands such as Zara and Massimo Dutti, have redefined the processes and requirements for success in their industries. Add to this economic environment, the three B-schools — IE, ESADE and IESE. In recent years, these schools have dominated the top positions in international rankings; in some cases, this ‘Spanish League’ occupied the top 10 positions. Also, applicants to these schools, especially those coming from English-speaking countries, feel challenged (in a good way) by the possibility of doing an MBA while learning Spanish, one of the world’s most widely spoken languages. And to top it all, these schools are high on diversity. Unlike their counterparts in the US, nearly 70-80% of the classes here are made up of international students. This situation has significantly impacted the teaching at Madridbased IE where the number of Indians on campus has grown from 10 in 2006 to 33 in 2008. Iñiguez adds, “One of the critical elements of managing change is the need to promote and manage innovation. We address this through our markedly entrepreneurial approach, which is a key component of all of our programmes.” IE was, in fact, founded by entrepreneurs. Most importantly, these markedly different approaches highlight how three B-schools in close proximity to each have had to constantly compete to attract the best students (and faculty). This has in turn ensured that each works very hard to stay ahead of the game in terms of curriculum, research, etc. But, studying at these schools is still an expensive proposition with tuition varying from 49,000 to nearly 68,000 euros. In addition, one has to factor in the European cost of living. To this, Sauquet says, “It should be noted that the price of doing an MBA at a top school is more or less the same and is compensated by greater opportunities post-MBA.” Similarly, Iñiguez believes that factors such as language and cost can also be viewed in a positive light. “Spain, in general, tends to offer a decent standard of living at reasonable costs, especially when compared with costs in the US and UK,” he adds. So, with comparatively favourable costs and (now) a preferred economic environment, could the Spanish League overthrow its American counterparts? “The value proposition of the top US and European Bschools remains distinct enough that I expect both to remain highly valued by participants depending on what they are looking to get from their MBA e x p e r i e n c e, ” opines Iñiguez. But, students looking for a more diverse and m u l t i c u l t u r a l experience, he says, may choose Spain over the US. LONDON: Indian students and others from outside the European Union will turn away from British universities if they are treated merely as “cash cows”, the chief executive of the British Council has warned. Every year, thousands of students are recruited in India by agents of British universities. While most of them enjoy and benefit from the experience of studying in the UK, many are disappointed at the lack of attention and low quality of education at some universities. Indian students pay at least three times the fee applicable to British students, which means that if a British student pays 3000 pounds for a one-year Masters course, an Indian student will pay at least 9,000 pounds for the same course. British Council chief executive Martin Davidson said: “International students have more study options today than ever before, and in an internet-connected world word quickly spreads when it appears a university regards them as little more than ‘cash cows'”. WASHINGTON: American universities are excited by prospects of expanding their presence in India’s growing education market but some prestigious Ivy league institutions like Yale University don’t expect to open a campus in the country any time soon. Vivek Wadhwa, an Indian American entrepreneur turned academic, associated with Duke, Harvard and Berkeley, all with strong interest in India, described the Indian cabinet’s approval of a bill allowing foreign varsities to set up campuses in India as a “win-win”. The legislation expected to be introduced in parliament next month for a vote would potentially open a huge market to international educational institutions. “For them, this provides an ability to expand their programmes and make their students and faculty more globally aware,” Wadhwa said. But Wadhwa wished “the government hadn’t put unnecessary restrictions into the bill, like the requirement that universities not repatriate profits and requiring an $11million minimum investment. “Tens of billions are already flowing out of the country. So what if some universities make a profit? This is win-win,” he quipped. The Swedish government suggests that tuition fees be introduced from the academic year 2011-2012 for citizens from non-EU/EES countries, accompanied with expanded scholarship opportunities. Under the current system, tuition fees for university education are fully subsidized by the government, for both Swedish and international students. 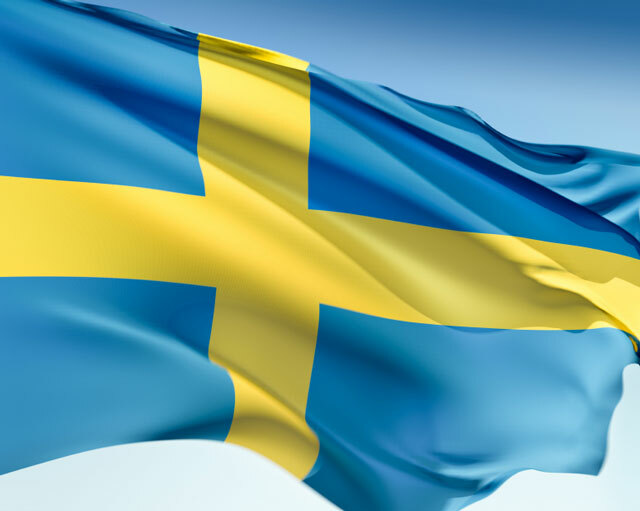 The new system is to be put in effect in order to ensure the high quality of Swedish education and to maintain a high proportion of international students through the increase of scholarship programs for international applicants. Students who have started a course or study program before the introduction of tuition fees would not be charged tuition fees for the duration of the course or study program in question. Studying at university is an expensive investment. Tuition fees have a disincentive effect on the poor and middle-income students. There has been a general trend towards marked increases in tuition in recent years, even in countries where tuition fees have generally been much lower than average. For example, Canada has seen its tuition fees more than double in the last ten years. Tuition fees can vary between courses, institutions, and whether the students are resident or international. This hub compares tuition costs of full time undergraduate programmes in America (Canada, United States), Europe (UK, Ireland, France, Germany, the Netherlands), and Australia. The tuition cost in USA varies from $5000 to $30000 per year. About $9000 for resident students and $20000 for international students. Canadian universities are cheapest among UK, USA, Australia. Average domestic tuition is around $9,000, and international tuition around $25,500. In recent years, the high-tax Europe has been considering reforming higher education and moving towards a system that charges users. Austria is intensely debating university tuition in the parliament. Six German states call on the parliament to terminate the piece of legislation that exempts college students from paying tuition. In addition, universities in Belgium are beginning to charge an enrolment fee of 500 euros which is same for EU and non-EU students (non-EU students are charged additional 500 euros for social security), while Holland and Italy charge an enrolment fee of 1,000-1,500 euros. Dutch universities charge students of certain departments such as business departments tuition as much as 5,000 euros and students of graduate schools tuition as much as 8,000 euros. In UK, the maximum tuition fee amount that can be charged to EU students is £3,145 a year (increasing yearly by no more than the rate of inflation). Average tuition for domestic students is around £3000, and for international students about £10,000 a year. €12000 (Euro) per year for international students. EU students pay € 900 registration fee. France has 82 universities, teaching 1.5m students. All are public; none charges tuition fees; undergraduate enrolment charges are a tiny €165. All lecturers are civil servants. Universities cannot select students, who can apply only to ones near them. The results speak for themselves. Not a single French university makes it into the world’s top 40 universities. In France, there is no difference in tuition fees between European and Non-European students. Therefore, policies officially search to improve the quality of the foreign students they receive, making a selection based on excellence and discipline of study. They intend to avoid a “mass phenomenon” of unwanted students in French universities who are not highly motivated and who mainly seek to obtain a visa and to stay in France. In Britain, there is a will to attract a large number of overseas students who pay high tuition fees and who supply important funding to British higher education. Germany universities now charge 1000 euro enrolment charge per year, regardless whether the students are from EU or non-EU countries. Australia had free education until 1988. Across the English-speaking world, Australia imposes mid-range fees. Nowadays, most full time degree and post graduate degree cost between AUD 10000 to 20000 per annum. So you think studying abroad might give your career a boost, do you? Well, you’re right. While you’re traveling the world, seeing the sights, you could also be picking up valuable contacts, cultural insights, and language skills that will give you the edge you need in your career — if you choose wisely. In an increasingly competitive global job market, it seems obvious: Studying abroad can take your resume from dull to distinguished. What company wouldn’t want a worker with an international perspective, an open mind and fluency in a few languages under his or her belt? But as a university student, it is important to remember that it takes a bit of savvy and a go-getter attitude to truly make your study-abroad experience an asset to employers. Just ask Till Müller. Currently working on his doctorate of jurisprudence at the University of Kiel, Till has been studying international law for six years, one of which he spent in the United States. It was a bit more than luck that landed Till such a prestigious opportunity. At Indiana, he discovered differences between the German and American approaches to law — an insight that will allow him to better communicate with lawyers and policy makers across the globe. Seeking out just the right program was the key to making Till’s time abroad really count. In fact, it’s the recipe for success for anyone looking to make their experience the investment of a lifetime. The adage, “It is what you make of it,” applies doubly here, so as you start to plan your time abroad, make sure you have a grip on what factors will give your career a boost. A recent study by the Rand Corporation / College Placement Council Foundation found that simply studying for a period of time in another country doesn’t automatically make students more qualified for employment. The study instead found that it takes a longer stay (more than a semester), real immersion (learning the language), and more practical work experience (internships or research) to develop the skills that will up your chances in the job market. But which language is best when it comes to getting ahead professionally? What if you studied Sanskrit? No language is superior to any other, obviously, but some might be a tad more useful in today’s international business arena. The Steinke Institute in Bonn projects the GNPs of countries all over the world for the year 2025 and assesses the value of their respective languages. They predict that by 2025, the top five languages for foreign trade will be English, Chinese, Japanese, Spanish and German. Jennifer Goodfellow decided to hone her skills in one of those “Big 5” — German. A student at Edinburgh University, Jennifer decided to pack her bags in 2006 and head to Munich to study. “I think that it’s rarer for people to study German as opposed to French or Spanish, but I think it’s a more useful language due to all the major businesses with bases in Germany,” she says. Jennifer’s approach was spot on as German is exceptionally handy in the current business climate. A powerhouse of international corporations, Germany came in fourth on the Fortune Global 500’s 2007 list as home to 37 Global 500 companies, 11 of them ranked in the top 100. Little wonder Germany is the world’s largest exporter of goods. Jennifer adds, “Having a second language is always going to be a useful skill and something that employers will look for, especially multi-national companies.” Even better when that language is one of the most in-demand languages of business.